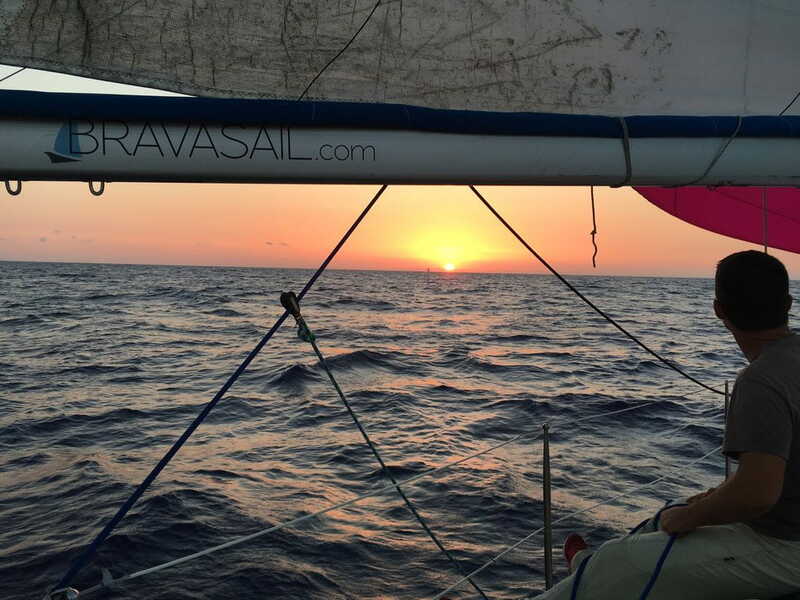 festive of May 1, sailtrip-regatta to Menorca, and caldereta! Do you want to pass a festive May 1st, different and exciting? Embark with us and sail to Menorca! A great combination of navigation, relaxation and competition, which will take you to Menorca at a fantastic time on year ... with a caldereta! From 04/28 tomorrow to 01/05 late. Possibility of overnight on board on Friday 27/04. We combine competition, learning, navigation, relaxation ... this and more in an original, fast, technical and fun regatta, a different experience in a great sailboat! After sailing, we take the opportunity to enjoy a well-deserved Caldereta de Marisco in Fornells, and visit a small cove in the south of Menorca at a privileged time of the year, a relaxing day for its little coves and quietly return, enjoying the pleasure of feeling the sea from a sailboat, you will have spent 4 great days! YOU DO NOT NEED EXPERIENCE, YOU JUST WANT TO HAVE IT GOOD! The price is 250.- € / person. Sailboat Jeanneau Sun Odyssey 42i (12,60m). Includes: Iva, skipper, berths in ports, inscription, food and drink on board (light food and soft drinks), all risk insurance, cleaning. Does not include: Fuel consumption, which will be paid halfway between the crew. (approx 25.- € / pax). Extra meals and drinks, according to cost. We will make a meeting a few days before to get to know each other and the sailboat, surf a little in the morning and comment on intendencias, interests, strategies, coordination, etc. The departure is Saturday 28/04 in the morning in Palamós (or Sant Feliu de Guíxols), where the meeting of skippers will take place and the race will start. Possibility of overnight on board on Friday 27/04. Then we will go to Ciutadella with a desire to have fun and perhaps to play a good role. The night will be a good time to relax while the boat runs towards Ciutadella. Arrival is expected on 29/04 in the morning. We will relax and dedicate ourselves to visit Ciutadella or some cove of the surroundings. On the 29/04 at night we moved to Fornells (transportation included in the price) to have dinner at a Caldereta in Es Cranc de Fornells ... what a good plan!